Outfielder Carlos Moncrief crushed a pair of home runs to complete the Flying Squirrels series sweep over New Hampshire. Flying Squirrels closer Tyler Rogers picked up the final five outs on Wednesday to secure a 4-3 win for Richmond (22-37) over New Hampshire (26-32). Ryder Jones celebrated his 22nd birthday with a solo home run in the Flying Squirrels (21-37) 5-3 win over New Hampshire (26-31) on Tuesday night. Vermin Supreme won’t have Jim Gilmore to kick around anymore. The former Virginia governor announced on Friday that he is suspending his bid for the Republican Party presidential nomination. The Bernie Sanders presidential campaign on Wednesday announced a record-breaking fundraising period following his landslide victory in the New Hampshire primary. Bernie Sanders won Tuesday’s New Hampshire Democratic Party presidential primary in a double-digit landslide over Hillary Clinton. Augusta Free Press editor Chris Graham joins host Jim Bresnahan on WREL-1450AM in Lexington, Va., to talk politics and sports. Several polls have Bernie Sanders with a big lead on Hillary Clinton in New Hampshire, but nationally the Democratic race still appears to be Clinton’s to lose. Bernie Sanders challenged Hillary Clinton to back a plan to strengthen Social Security and to reject any cuts to Social Security. On Saturday, U.S. 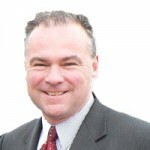 Senator Tim Kaine will campaign for Hillary Clinton in New Hampshire ahead of the Granite State’s first in the nation primary next week. Businessman Donald Trump holds a comfortable lead over his opponents in the New Hampshire Republican presidential primary contest. New polling from the University of New Hampshire has Bernie Sanders outperforming Hillary Clinton against the Republican field in the Granite State. Two new polls of Iowa voters split Hillary Clinton and Bernie Sanders in the frontrunner spot, and a third poll in New Hampshire has Sanders leading Clinton there. Hillary Clinton has a solid lead nationally, but a new New Hampshire poll has her up just three points on Bernie Sanders. It’s still three months until the New Hampshire primary, but the chill in the air suggests that the Summer of Trump is morphing into something else. Following the program’s first-ever NCAA FCS Playoff appearance and victory, Liberty has finished the season ranked No. 17 in the final Sports Network and FCS Coaches polls. 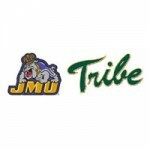 William and Mary Director of Athletics Terry Driscoll has announced the release of the Tribe’s 2015 football schedule, which is highlighted by five home games at Zable Stadium and a trip to Atlantic Coast Conference foe Virginia. James Madison football has cracked the top 25 nationally for the first time this season, entering the Sports Network Poll at No. 25 Monday. Satchel Ziffer kicked a 28-yard field goal with no time left to lift ODU football to a dramatic 38-35 victory over FIU Saturday at Foreman Field at S.B. Ballard Stadium. 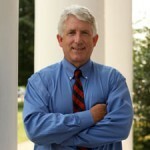 Attorney General Mark Herring today urged members of the U.S. Senate Judiciary Committee to support legislation that would help prevent children from being trafficked on the Internet. The No. 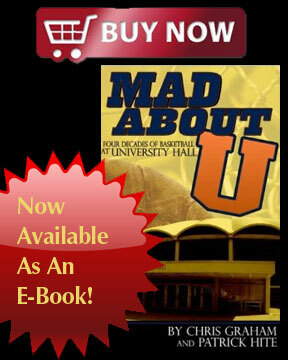 15/18 William and Mary football team was edged by No. 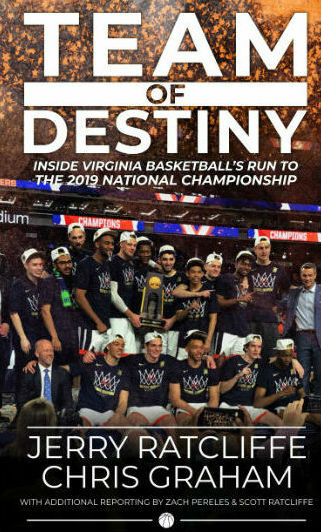 5/4 Villanova, 35-31. W&M (4-3, 1-2) led, 31-28, with less than a minute remaining, Villanova (6-1, 4-0) scored the game-winning touchdown on a 13-yard pass from quarterback John Robertson to wide receiver Kevin Gulyas with just 0:52 on the clock. Tricia Erickson: Is Romney using a familiar strategy to garner support for another run? Mitt Romney has been very busy traversing the states, playing out the same strategy of raising money for midterm candidates that he effected running up to his 2012 Presidential run. The No. 15/18 William and Mary football team will square off against a top-10 opponent for the second consecutive week when it hosts No. 5/4 Villanova for homecoming this Saturday at 3:30 p.m. Despite suffering a setback at then-No. 4/6 New Hampshire last Saturday, the William and Mary football team remains among the top 20 in the national rankings released on Monday. W&M is ranked No. 15 in The Sports Network Poll, while it is No. 18 in the Coaches Poll. The No. 10/11 William and Mary football team had its four-game winning streak snapped with a 32-3 loss at No. 4/6 New Hampshire on Saturday afternoon. After a bye week, the No. 10/11 William and Mary football team will return to action when it plays at No. 4/6 New Hampshire on Saturday at 3:30 p.m. The top-10 showdown will be televised live nationally on NBC Sports Network. For the second Homecoming game in a row, Liberty faced a nationally ranked team and experienced the same outcome. On Saturday, Liberty lost in double overtime to No. 20/21 Richmond, 46-39, in front of a record crowd at Williams Stadium. Indiana State racked up 322 first-half total offensive yards and a halftime margin No. 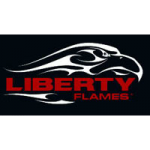 22 Liberty was not able to overcome to secure a 38-19 victory over the Flames on Saturday afternoon at Memorial Stadium. 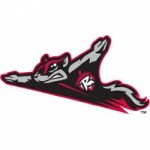 The Richmond Flying Squirrels (70-54) swept a doubleheader from the New Hampshire Fisher Cats (59-65)on Thursday night at Northeast Delta Dental Stadium. The Richmond Flying Squirrels’ (68-54) troubles followed them to New England, where they dropped the opener of a three-game series, 8-2, to the New Hampshire Fisher Cats (59-63) at Northeast Delta Dental Stadium on Tuesday night. William and Mary senior All-American defensive end Mike Reilly highlighted the Tribe’s list of preseason all-conference honorees announced at the annual Colonial Athletic Association Media Day event held at M&T Bank Stadium in Baltimore on Wednesday. The Washington Redskins announced today that they have promoted Jeff Scott and Josh Washburn to Pro Scout, hired Matt Evans as a player personnel assistant and added Brian Zeches as an administrative assistant. William and Mary football fans unable to make it to games this season will have multiple opportunities to follow the team on television, as seven of the Tribe’s contests will be broadcast live. Left-hander Adalberto Mejia led the Richmond Flying Squirrels (39-28) to a second straight shutout of the New Hampshire Fisher Cats (28-40), 2-0, in front of 7,644 at The Diamond on Sunday afternoon. Left-hander Kelvin Marte was sensational over 7 1/3 innings, leading the Richmond Flying Squirrels (38-28) to a, 1-0, shutout victory over the New Hampshire Fisher Cats (28-39) in front of 8,583 at The Diamond on Saturday night. The road-weary Richmond Flying Squirrels (37-28) endured a nearly two-hour rain delay before falling, 6-3, to the New Hampshire Fisher Cats (28-39) in front of 7,098 at The Diamond on Friday night. The Trenton Thunder (34-33) prevailed, 4-3, over the Richmond Flying Squirrels (37-27) in a nip-and-tuck affair at ARM & HAMMER Park on Thursday night. WINNER: Florida State. The Seminoles’ football national-title hopes were improved dramatically when #3 Oregon lost at #5 Stanford on Thursday. Oregon was the team best poised to leapfrog FSU into the #2 position in the BCS down the stretch. New Hampshire jumped out to an early 14-0 lead, and JMU couldn’t recover, losing 33-17 in a result that severely dims the Dukes’ 2013 playoff hopes.The Wildcats (5-4, 4-2 CAA) got two touchdown passes from quarterback R.J. Harris to go up 14-0 after one. Taylor Heinicke passed for 533 yards and Colby Goodwyn rushed for three touchdowns to lead Old Dominion University football to an historic 59-38 win at Idaho. The win is the first over an FBS opponent in school history and moves ODU to 7-3 on the season. Results from the 2013 National Assessment of Educational Progress show that the reading skills of Virginia fourth-graders have improved significantly over the last four years. Virginia is one of the nation’s 12 highest-performing states in fourth-grade reading. The William and Mary football team remained unbeaten at home with an impressive 17-0 victory against No. 16/17 New Hampshire at Zable Stadium on Saturday afternoon. The William and Mary football team defeated #16 JMU, 17-7, in front of a sold-out crowd for homecoming at Zable Stadium on Saturday. Redshirt-senior quarterback Justin Thorpe had his first career 300-yard passing game to lead #6/7 James Madison football team to a 32-7 victory in their Colonial Athletic Association opener at Rhode Island, Sept. 22. The Dukes are now 11-3 in CAA openers under head coach Mickey Matthews and move to 3-1 and 1-0 in the CAA, while the Rams fall to 0-3 and 0-2 in league play.